What are Comprehensive Financial Advisory Services? Comprehensive financial advisory services start with a comprehensive financial plan and the comprehensive advisory services continue throughout the engagement. Read here for a more detailed discussion of our approach. Clients have questions as diverse as whether they should refinance their mortgage, buy a new car, or whether the timing is right to retire. Questions can range from how do I create a budget to what's my net worth to should I sell my business to how are my investments doing. Wesling Financial works with clients to answer these questions using the LIFE financial planning and advisory services process. Wesling Financial and its clients have a deep and continuing relationship, similar to the one patients have with their doctors. 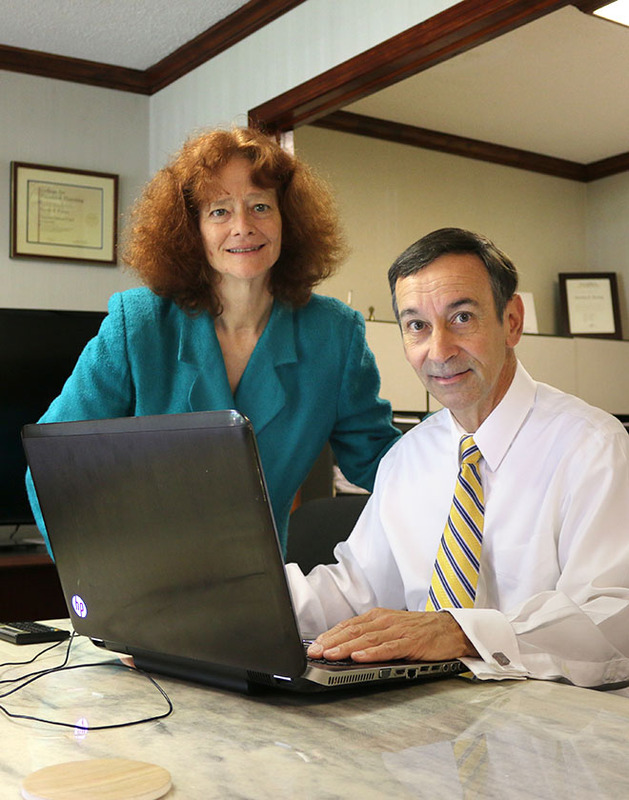 Clients can get advice and help with the entire continuum of their financial health and ills. We do not limit ourselves to providing advice about just one or two particular areas of your financial life. For example, many advisors might work with you only on investments or taxes. Our advice covers the entire spectrum of the financial world. When you have questions we cannot answer or need services we don't provide (like the sale of life insurance or the preparation of legal documents), then a specialist is called in to work on those problems. What is a Retainer-Based Approach? We offer a retainer-based approach for clients who engage with us for comprehensive financial services, including monitoring of investments. The retainer-based part means clients are charged a flat fee for our services, generally paid on a quarterly basis. Many other fee-only planners base their fees on a percentage of the value of the client's accounts they manage--in other words, the more money they watch for you, the more you pay. While this may seem reasonable, it actually makes little sense at all for you. From another firms’ perspective, if you make more money following their advice, shouldn't they get more money? There are three fallacies with that logic. First, it takes little, if any, more time to set-up and manage a $2,000,000 account than it does to manage a $1,000,000 account. Consider this example, you visit your doctor with a pain in your arm. Your doctor examines your arm, and also checks several other vital functions, including your temperature, your weight, your blood pressure, your eyes, your ears, and your reflexes. As the doctor examines your arm, she tells you your arm has a strained muscle and recommends rest and a strong pain reliever. While examining you, your doctor notices your eyes are unusually red. The doctor mentions this to you and you tell her you noticed that too. Further, you tell her how you sometimes have swollen eyelids..
At this point, your doctor calls in a specialist to help examine your allergic reactions. The allergist tests you and tells you to begin a daily regimen of antihistamines. Problem solved, and you feel much better. This is just the way Wesling Financial and services providers work together as a team to take care of your entire financial life. 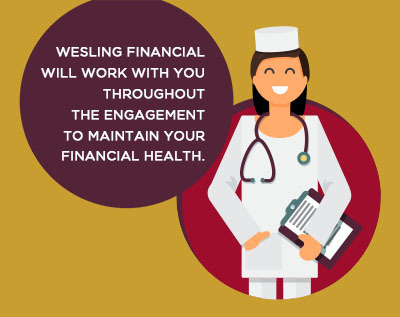 Wesling Financial will work with you throughout the engagement to maintain your financial health. Whenever a specific need arises such as life insurance or legal documents, Wesling Financial will work with you and the specialist to solve any financial problem preventing you from achieving your inner most goals. Wesling Financial uses a flat fee approach to work with clients so you can proceed throughout the engagement without worrying about any additional fees from Wesling Financial. Of course, the service and product specialists may charge additional fees, and we work with them and you to ensure you always get the best value.